There are several distracting activities drivers may attempt behind the wheel. While some types of distraction are more dangerous than others, the reality is that any type of distracted driving is potentially dangerous. One of the most common types of distracted driving is eating behind the wheel. Drive-thru fast food restaurants are everywhere in the United States and many drivers visit these establishments on their way to and from work for a cheap and easy meal. Some drivers may also buy meals or snacks on the road for long trips. California is notorious for heavy traffic congestion, fast-moving highway traffic, and higher than average speed limits. Any type of distraction is a bad idea on California roads and now the California Highway Patrol intends to crack down on eating and other distracting behaviors behind the wheel. Although California does not expressly prohibit eating behind the wheel, state law does prohibit any “wanton disregard for the safety of persons or property,” which applies to distracted driving in general. 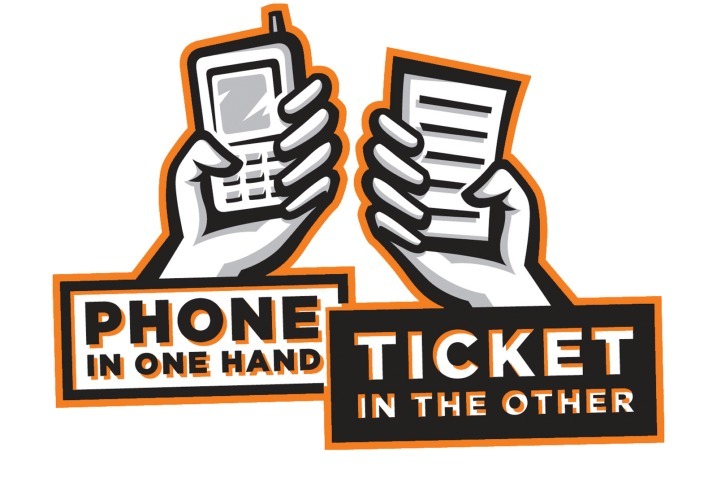 In 2008, California enacted a ban on cell phone use while driving and the California Highway Patrol has issued more than 500,000 tickets for violations since the law’s enactment. The California Highway Patrol has also issued more than 11,000 citations for texting while driving violations. Drivers must remember that even though the law does not specifically state that eating while driving is illegal, a police officer or highway patrolman can conduct a traffic stop and issue a ticket if the officer observes a driver eating behind the wheel that shows a clear disregard for the safety of others. According to Long Beach car accident attorney Richard Harting, eating behind the wheel may even lead to reckless driving charges and penalties including fines and jail time in some areas of California. A driver may wonder why eating is dangerous behind the wheel. Handling a cheeseburger while driving may be trivial for some drivers and a challenge for others. Additionally, dropping food or spilling a drink can surprise a driver, causing him or her to suddenly lose control of the vehicle. Some people eat during their morning commute but it is almost always possible to save a meal until the driver arrives at work. Drivers who leave for work late or feel otherwise pressured to rush may assume that eating while driving is just a good way to save time. However, doing so can be very dangerous, and California law enforcement officers have been cracking down significantly on all forms of distracted driving throughout the state. If you plan to pick up food from a drive-thru, try to park at the restaurant and eat in your car before continuing to drive. Doing so not only helps prevents accidents from distraction, but it is also easier for the driver to avoid spills and messes and enjoy his or her food without worrying about driving. If it’s possible to wait to eat until arriving at your destination – it is best to do so.